Do you need tax preparation, filing, or planning services, assistance, and support in Elkins? Let Carte Hall Certified Public Accountants assist you with all your personal or business tax needs. We specialize in tax preparation and planning services, so you don’t have to worry or stress over your income taxes. Contact us today to set up an appointment to review your taxes and discuss your options in Randolph County, WV. 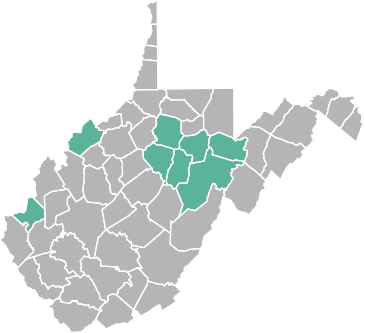 Starting a Business near Beverly, WV? New business start-ups can cause a lot of expected and unexpected stress for the business owner and their family. Let Carte Hall Certified Public Accountants help you with getting your business off to a good start. You will have more time to enjoy dinner and vacations with your family while we work hard to help you get your business in Elkins, Beverly, or elsewhere in Randolph County set up for success. During the times when you cannot see the light at the end of the tunnel, Carte Hall Certified Public Accountants is here to assist you with finding the best debt management options. We provide expert advice to move you in the right direction toward effective debt consolidation. Let Carte Hall’s experts assist you with accessing the optimal financing services to best fit your specific needs. QuickBooks setup and training is a great investment for new and seasoned businesses. Having the ability to track, manage, maintain, and run reports on your overall financial outlook is a great resource. Even though QuickBooks can be relatively simple to operate after you learn the basics, getting to that point typically takes professional help and guidance. Let our team help your team excel on QuickBooks. Looking forward to your retirement is a good thing; however, stressing over your finances is not. The retirement experts at Carte Hall Certified Public Accountants will help you develop a plan to help ensure that you will be prepared when retirement time arrives. Do not gamble with your future. Call the trusted accountants who are number one in client satisfaction: (304) 637-2369.